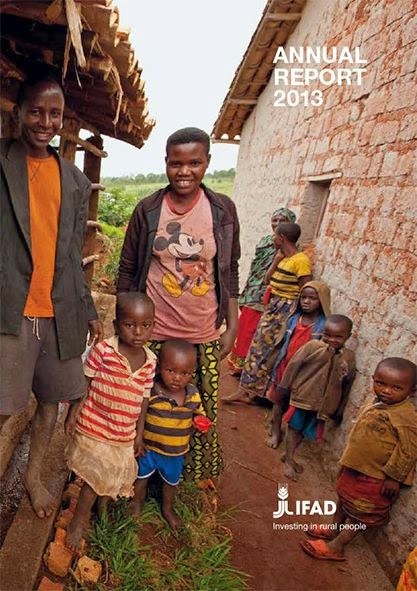 By popular request, I've put together a cheat sheet for the 2013 IFAD Annual Report, which came out yesterday. Like all good cheat sheets, this one saves you time and effort, giving key figures from the Report in bite-sized chunks. For a glossy cheat sheet with pictures and short stories, take a look at the Annual Report Highlights. If you want the details behind those figures, or more information on the various types of cofinancing, disbursements or repayments – take a look at Table 2 IFAD at a glance in the Financing Data chapter. Here's the breakdown of the big numbers region by region. If you're interested in the details of new programmes and projects, these are all covered on the AR CD-ROM. We also give a link to projects in the pipeline if you want to keep ahead of the game. The Annual Report isn’t just about numbers. It’s also about issues, strategies and stories. The Programme of Work chapter gives an overview of the main issues in each region and key areas of work with results. You’ll also see 2013 investments and disbursements by lending terms in the regional pie charts. If you want to know which countries we’re working in and where we have country offices, you can consult the map. Last but not least, take a look at the stories from the field and learn about some of the courageous and talented people we work with.